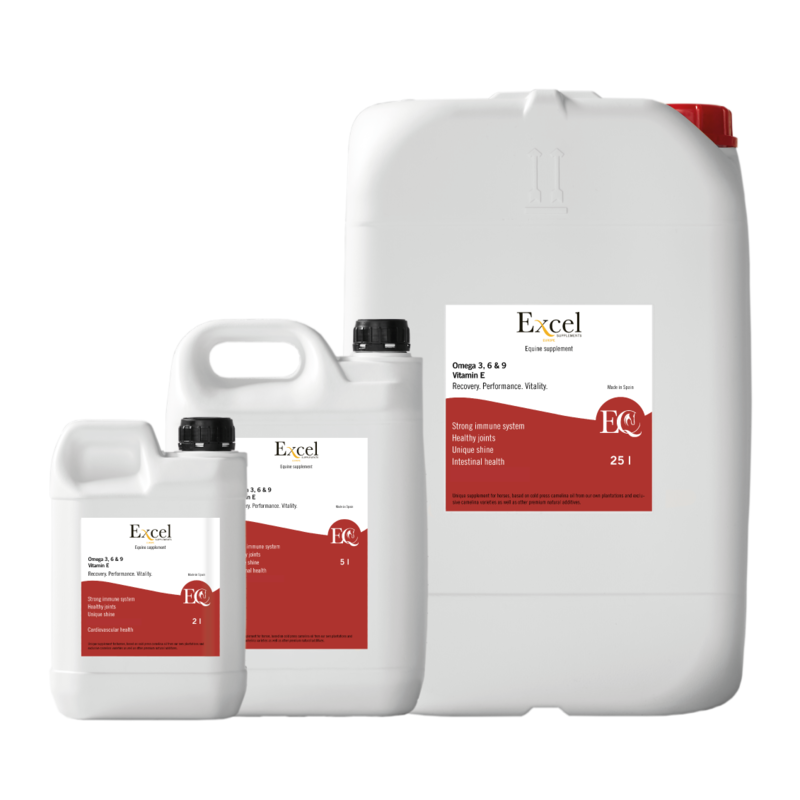 Excel EQ is a Non Doping Substance tested product. Essential Fatty Acids (EFA) omega 3 and omega 6 are both critical for health and play important structural and functional roles in the horse body. Research has shown that supplementing EFA to the horse diet reduces inflammatory responses and assists in the maintenance of a healthy circulatory system. Vitamin E & polyphenols also play a critical role in muscle recovery. Research has shown that supplementing vitamin E & polyphenols to the horse diet prevents the formation of free radicals, reducing fatigue and muscle inflammation.